Mirror, mirror on the wall this marriage is the best of all. How do you see your marriage now? Is it precious to you? Do you honor, appreciate, and place worth on your marriage as it is? Or do you view your marriage as fundamentally flawed? Do you know that all the energies and strategies you are using (thinking your marriage will be better if we just do this or we just change that) could end in failure? Unless you honor your marriage union first without conditions. Do you know that all your tactics can come across as manipulative strategies to get your spouse to do what you want. This smacks of duplicity and insincerity. You must work on your marriage because you believe it is valuable, not because you are trying to make it valuable. Quick-fix manipulations do not make for a good marriage. 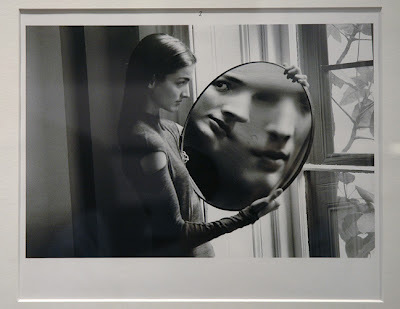 Have you ever walked past a mirror and where shocked or mortified by what you saw? Your hair was standing up in a weird way, your slip was showing, your fly was open, you had food in your front teeth? Mirrors can be real life savers. Had it had not been for that mirror, you may have gone the entire day looking ridiculous. Marriage becomes like a mirror by living so closely with your wife or husband, the two of you start to get a picture of what you really look like. You start to see where you need to adjust and change. This is why marriage is so effective at making people’s live more rich and productive if they adjust to the needed changes. Unfortunately, many expect marriage to be something that makes them look better, not something that reveals where they don’t look so good. Additionally, rather than seeing where you need to change, you might project your own negative images on your spouse and point out where they need to change: She is so irritating…he is such a lazy slob…I don’t want to act this way, but she brings out the worst in me. In the Bible, Adam played the blame game like this: “That woman you put here with me, she gave me some fruit from the tree, I ate it.” Playing the blame game doesn’t make for a happy marriage. If you believe your spouse is present in the marriage to make you look better, instead of being a mirror to help us see who you really are, you will think your marriage is inadequate whenever one of your faults is revealed. Like the witch “Snow White” who became angry at the mirror for not telling her what she wanted to hear. We begin to criticize the mirror, spouse, and our marriage and end up communicating to him or her: This marriage isn’t good, you’re doing something wrong, we need to fix you. Then once you are internally convinced that your marriage is wrong, you will never be able to change it externally; no matter how much you work on your attitude or behavior. Your marriage becomes like a cracked mirror that can’t be repaired. People in troubled marriages seldom grasp the fact that bad marriages cannot become good ones by external pressure. External marriage-enrichment techniques do not work unless you begin by changing your perception of yourself, your spouse and marriage. Unfortunately quick-fixs and manipulating don’t make for a lasting marriage. No one has all the answers and unfortunately sometimes the raw truth is that there are couples who said those two wonderful words “ I Do” for all the wrong reasons and saying I don’t any more is the only solution for them. When anger festers, boils, seethes, and burns everything it touched and communications attempted under fire are doomed from ever reaching their objective the rational mind of your partner. The words may come pouring out, but that doesn’t mean they’re understood…particularly if the mood is sour or angry. Fighting isn’t necessarily bad, nor is it necessarily good and it’s common enough but hopefully short-lived. So don’t worry about the occasional flare-up, but do something if the fire under the cauldron never goes out because constant bickering wears down both parties and wears love out. If you’re always at the boiling point, try to figure out why. You may be taking it out on your partner, but the source of your displeasure may be far from the home front. Acknowledging the reason your anger is boiling up will allow you to explain to your partner why you’re in a bad mood. And if it’s something your partner is doing, then try to work things out before the anger gets out of control. Love Wilts without smiles, it drops under the weight of tears and it grows pale when it’s kept indoors. Storms of anger can melt away as quickly as they boil up but feeling sadness or anguish can be longer lasting. An injured heart can do as much damage to an emotion as ethereal as love as an outraged spleen can do to all your emotions. Thank you for this wonderful post. In a day when divorce seems to always be the answer, it is nice to see a more positive outlook on how to live with someone 24/7.